Jo tugged at my arm excitedly. “Look!” she whispered. I’d spotted the woman as we emerged from the hotel reception. A dark-haired, sullen, pouty, predatory type dressed in dark brown and standing with her back to the grey-haired man loading luggage into the boot of a small saloon car. I hadn’t given the couple a second glance. “It’s Mel Gibson”, she hissed. I looked back. He was much shorter than I’d expected, but the face was unmistakable. There was Braveheart, slamming down the boot lid as his new Russian girlfriend Oksana Grigorieva slinked into the passenger seat. I can understand why celebrities like the Post Ranch Inn, a modest title for one of the most exclusive hideaways in California. Set high on the clifftops of Big Sur, sixty miles of scary hairpin bends away from any sort of town, the hotel is a collection of secluded chalets carved into the hillside. From the outside they look like little hobbit homes with grass roofs; inside, walls of glass display an expanse of Pacific Ocean a thousand feet below. Without television, internet, mobile phones or children, it’s more rustic than luxurious. New age music plays from the stereo – pan pipes and piano evoking opulence and exotic spa treatments. Perfect for a honeymoon, it’s evidently also a celebrity love nest. “I know, let’s ask him if he wants to do a reality series,” Jo said suddenly as we walked up the hill towards our infinity pool jacuzzi. “He needs rehabilitating after his anti-semitic outburst in Malibu – tell him I’m a Jewish television producer.” I think she was only half joking. Both Jo’s parents are Jewish, and our wedding had been held in the garden of their home. This was nothing like my previous experiences: the Tibetan Buddhist ceremony set in the Himalayas, or the Church of England affair, complete with bishop. Our ceremony was performed by Cantor Yonah Kliger of the Emanuel Temple in Beverly Hills, synagogue to the stars. A delightful man, who has been Jo’s close friend for nearly twenty years, Yonah also has the most beautiful singing voice, which is why people like Steven Spielberg book him for their children’s bar-mitvahs. I liked the way the cantor does all the singing – no communal grunting through unfamiliar hymns, the hundred or so guests simply enjoying the sea view and the romance as Jo and I plighted our troth under the chuppah – symbol of our home – with my two sons as best man and “ringbearer”. It was a moving, intimate wedding and, as it will undoubtedly be my last, I was determined to enjoy every moment. I loved the unfamiliar rituals: Jo circling me seven times, the stamping on the glass, baby Izzy waving at the crowd with a tiny yamacha perched on her head, and the laughter and tears as Jo and I read out the vows we’d written ourselves. Jo looked so breathtakingly beautiful I think in the heat of the moment I even vowed to obey her – but as I’ve been doing that for the past six years I guess it won’t make too much of a difference back home. After all that excitement, the honeymoon hotel was a moment of tranquility on the way to the Napa Valley for some wine tasting and fine dining with my divorce lawyer Gary and his wife. Although the legal fees in my last protacted settlement can’t have come close to Mel Gibson’s £640 million divorce from the mother of his seven children, Gary and I became very good friends during our three-year battle. At The French Laundry, said by some to be America’s fine st restaurant, somewhere around the eighth course I toasted Gary and formally discharged him from service. “I no longer need a divorce lawyer — you’re fired.” “L’chaim!”, he said, raising his glass: “To Life!”. Mothers always read it. It's how we know what our family is up to! Great photos. That place looks amazing. You might have to ask your lovely new wife what it means. Congratulations to you and Joe on your recent marriage. I only talked to her a few times on the phone and met her in person at FMNA in Santa Monica and at a house in Marina Del Rey but she left a great impression each time. The pictures look great. 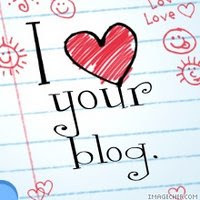 I also enjoy reading your blog. When are you coming to LA to pitch some new projects form Standing Stone? Thanks for the comment, and the mysterious references to Santa Monica. Do you want to identify yourself??? Your wedding story sounded like a very memorable day and one full of family. Came across your blog and I meant to write awhile ago. Time never seems to allow. Love the idea of you returning to your roots to raise little Izzy. I doubt my northen lad is ready to return to his roots but then again Sunderland does not hold the same allure as it once did. What a perfect setting amongst family and friends (Izzy too) to celebrate your specail day. Now back to the north. Having tech problems and can only comment in annoymous will try to comment with id next time.